Reservoir or pools - Turismo de Íllora - Granada - Descúbrela paso a paso. It isn’t necesary to say that water is always appreciated in a dry land and there, were agriculture is used to be a living even more. Reservoirs are used to keep the water of rainy days for the dry times of the year. You can find them around Íllora. The construccion is simple and normally rectancular or squared, you may find some as circuls or semicirculs. 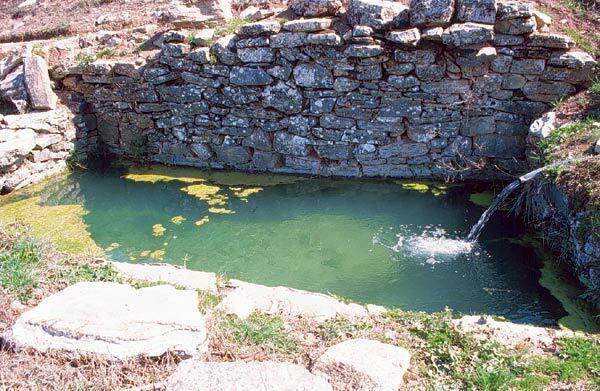 Even if the reservoirs are used for agriculture, they were used over the century as pools for many children of the town because of not having a private or public swimming pool. It is a pity that a lot of them are gone. Water is still one of the principal needs because without water people can’t water the vegetables or olive trees which are the main income of south of Spain.